Africa has been featured on the media and branded synonymous with poverty, war, crises, corruption, malnutrition. While some of these are true, the solution lies in harnessing the naturally occurring staple African foods in existence. In case you have wondered whether foods are in Africa at all, or what types of food people eat in Africa, African foods are some of the most diverse in the world. Some are cultivated in African soil, nurtured by African weather and produced in Africa in its entirety, while others are imported and have their origin from elsewhere. Majority of Africans wouldn’t need any introduction to the common and most abundant African foods but not everybody would know that, for example, the cassava nourishes more than 500 million people worldwide and has its origin from west-central Brazil. Answers Africa brings you some of the most popular foods in Africa that have worldwide reach. Watermelon is a vine-like flowering plant (scrambler and trailer) that originated from southern Africa where it is found growing wild. It has spread across the world, starting with the northern parts of Africa where at a time, its seed was found in Pharaoh’s tomb, Asian countries including Israel were not left out. Watermelon has a smooth exterior rind (green, yellow and sometimes white) and a juicy, sweet interior flesh (usually deep red to pink, but sometimes orange, yellow and even green if not ripe). Today, farmers in approximately 44 states in the United States grow watermelon in commercial amounts; Georgia, Florida, Texas, California and Arizona are the US’s largest watermelon producers. This now-common watermelon is often large enough that groceries often sell half or quarter melons. 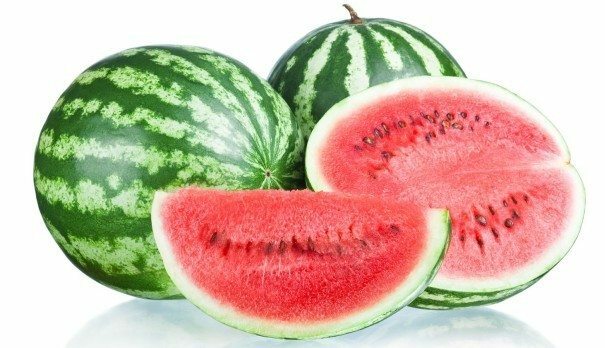 In recent times, African countries are far from the list of largest producers of watermelon which has been occupied by China, Turkey, Iran, Brazil and the United States. Curry is got from the curry plant and used in vegetable dishes, as well as in meat and fish dishes. Its flavour can never be mistaken once recognized initially. It is one of the most widespread species in the world that has been identified with the Asian, however, it’s origin in Africa could be traced to the time of early railway construction to Uganda, during which the British imported a lot of Indians who came to Africa with their curries. Okra is a flowering vegetable plant that is popular in African cookery because of its seed pods. The plant is cultivated in tropical, subtropical and warm temperate regions around the world. In Syria, Tunisia, Egypt, Albania, Greece, Bulgaria, Macedonia, Iran, Iraq, Jordan, Lebanon, Turkey, and Yemen, and other parts of the eastern Mediterranean, including Cyprus and Israel, okra is widely used in a thick stew made with vegetables and meat. Wild forms of banana has its origin in the tropical parts of Asia. However, the Arabians started growing banana plant in the northern parts of Africa. 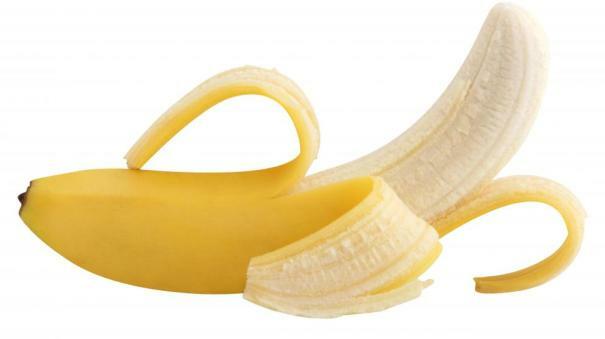 Today, Bananas are grown in at least 107 countries, primarily for their fruit, and to a lesser extent to make fiber, banana wine and as ornamental plants. Nutmeg is a spice used for seasoning foods in Africa. It originated in the Moluccas in Indonesia. European traders introduced nutmeg to Africa. Cumin is a seasoning common to African food, It was originally planted in the ancient Egypt around the eastern Mediterranean and India. It was first used in North African cooking before being introduced to the Central parts of Africa. Cumin is commonly used as basis in sauces to accompany chicken and other meat dishes. Mostly grown small scale in compound gardens. The plantain is a common day African food and member of the banana family. Plantains can be used for cooking at any stage of ripeness, and very ripe plantain can be eaten raw. As the plantain ripens, it becomes sweeter and its color changes from green to yellow to black, just like bananas. Plantains are a staple food in the tropical regions of the world. This is mostly an Asian plant, but has been in use by the ancient Egyptians for a long time. It was recorded among the bible as part of the foods the Israelites ate while in Egypt. Garlic is one of the most indispensable ingredients around, and plays a central role in Mediterranean and Asian cookery. A bulb composed of many individual cloves enclosed in a thin white, mauve or purple skin, it’s quite fiery, pungent and crunchy when raw. As it cooks it becomes more mellow and creamy. It’s mainly available dried, but fresh (also known as ‘wet’ or ‘green’) garlic, which has a mild flavour. Coriander is native to regions spanning from southern Europe and North Africa to southwestern Asia. It is a soft, hairless plant growing to 50 cm (20 in) tall. All parts of the plant are edible, but the fresh leaves and the dried seeds are the parts most traditionally used in cooking. The plant is native to the Indian Subcontinent but later spread to the Mediterranean and Africa. Eggplant is related to the potato and tomato. Eggplant is actually a fruit, specifically a berry. Although the most common type is large and dark purple, eggplant comes in many sizes (2-12 inches), shapes (oblong to round), and colors (white to green to purple). The first varieties of eggplant known to English-speaking people bore colorful egg shaped fruits, thus the name eggplant. At one time eggplant was discounted as poisonous and dubbed the “mala insane” (raging apple) because it was believed to cause insanity. The origin of onions could be traced to the ancient Egyptians and the Sumerians (modern Iraq) where it was more commonly used. Today, most African foods have onions as part of vegetable or spice. They form an important flavor ingredient in most African dishes. The rest of the world is also not left out as there is no known continent where onions is not consumed today. Ginger cultivation began in South Asia and has since spread to East Africa and the Caribbean where they are more widely used. Because ginger exists in root form, it was more easily shipped than most seasonings, and it was thus widely spread at an early stage of history. The Romans imported ginger from Egypt as at 2008, Nigeria was the 6th largest producers of Ginger in the world with Cameroon at number 10 thus making both African countries the largest producers of Ginger in Africa. The lentil plant (Lens Culinaris) originates from Asia and North Africa and it is one of our oldest sources of food. Lentils are one of the world’s oldest cultivated foods that are known to mankind. They are known to have been cultivated in Egypt 5000 years ago. A cousin to the pea and a rich provider of protein and carbohydrates, the lentil is also a good source of calcium, phosphorus, iron and B vitamins – making it an important diet staple the world over. There are several different varieties – most commonly used in cooking are Brown, Red and Green lentils, although Puy and Yellow are stocked in many health and specialist shops. Millets are important crops in the semi-arid tropics of Asia and Africa (especially in India, Nigeria, and Niger), with 97% of millet production in developing countries. While millets are indigenous to many parts of the world, millets most likely had an evolutionary origin in tropical western Africa, as that is where the greatest number of both wild and cultivated forms exist. Sorghum is an African food in the form of a wild plant. It is among the leading grains produced in Africa with Nigeria as one of the world leading producers alongside with the United States of America. Most varieties are drought- and heat-resistant, and are especially important in arid regions, where the grain is one of the staples for poor and rural people. Wheats started growing in the Middle Eastern agricultural societies. It later spread to Egypt and the rest of Africa. Wheat is most commonly baked into biscuits and bread. In the African continent, it contributes as the most important African food component consumed in the Northern Africa but also grown on a very large scale in South Africa. Found throughout the tropic and subtropics across the globe, coconut is known for its great versatility as seen in the many domestic, commercial, and industrial uses of its different parts. The innermost part and milk from the coconut is widely used across Africa. Coffee is the most consumed beverage in the world and is grown in more than 70 countries. Its origin could be traced back to the Ethiopian ancestors of today’s Oromo people who were believed to have been the first to recognize the energizing effect of the coffee plant, though no direct evidence has been found indicating where in Africa coffee grew or who among the natives might have used it as a stimulant or even known about it, earlier than the 17th century. Green (unroasted) coffee is one of the most traded agricultural commodities in the world. On a cultural and more historical note, coffee was used in native religious ceremonies that were in competition with the Christian Church in East Africa and as a result, the Ethiopian Church banned its secular consumption until the reign of Emperor Menelik II of Ethiopia. Beans have their origin from the Central and South America. There are many variations of beans. It is known that the first domestication of black-eyed beans probably occurred in West Africa where it has formed a staple African food. For long, groundnuts have been a cash crop across Africa especially in the tropical countries. Originally, groundnuts came from southern Bolivia and northern Argentina, where the local Indian peoples cultivated them. Most of the groundnuts from Africa today are produced in the Sub-Saharan Africa. The yam is a vegetable that should not be confused with the sweet potato which has also been referred to as a yam in parts of the United States and Canada. Yams are a primary agricultural and culturally important commodity in West Africa, where over 95 percent of the world’s yam crop is harvested. Yams are still important for survival in these regions. Some varieties of these tubers can be stored up to six months without refrigeration, which makes them a valuable resource for the yearly period of food scarcity at the beginning of the wet season. Yams comes with a white flesh and texture, similar to a turnip. The flesh can be eaten boiled, roasted, baked, mashed or made into chips. Cassava is native to South America where it is extensively cultivated as an annual crop in tropical and subtropical regions for its edible starchy, tuberous root, which is a major source of carbohydrates. Cassava is the third-largest source of food carbohydrates in the tropics and is a major staple food in the developing world, providing a basic diet for around 502 million people. It is one of the most drought-tolerant crops, capable of growing on marginal soils. Nigeria, a country in West Africa is the world’s largest producer of cassava. Palm Oil is native to west and southwest Africa, occurring between Angola and Gambia. The use of oil palms by humans may date as far back as 5,000 years in West Africa. Oil palms were introduced to Malaysia (then the British colony of Malaya) in 1910 by Scotsman William Sime and English banker Henry Darby. The species of palm tree Elaeis guineensis was taken to Malaysia from Eastern Nigeria in 1961. As noted, it originally grew in West Africa. The southern coast of Nigeria was originally called the Palm oil coast by the first Europeans who arrived there and traded in the commodity. This area was later renamed the Bight of Biafra.